Lewis Hamilton has taken the victory at the Abu Dhabi Grand Prix, finishing 2.5 seconds ahead of second placed Sebastian Vettel. The Briton converted his pole position from Saturday into his 73rd career win, rounding off his record-breaking season in style. Hamilton's race strategy looked questionable early on in the race when Mercedes called the 33-year-old in for an early pitstop. The team jumped on a virtual safety car that was deployed after Kimi Raikkonen stopped on the start/finish straight with a mechanical issue. The VSC, which was called for on lap 7, was the second time it was deployed after a major shunt for Nico Hulkenberg and Romain Grosjean on lap 1 at Turn 9. As they went side-by-side into the corner, contact was made resulting in the Renault flipping upside down, coming to rest on the barriers. Hulkenberg was taken to the medical centre but was cleared and deemed uninjured. Marcus Ericsson, Esteban Ocon and Pierre Gasly all retired in their last races with Sauber, Force India and Toro Rosso respectively. Sebastian Vettel crossed the line in second place, passing Valtteri Bottas on lap 35. 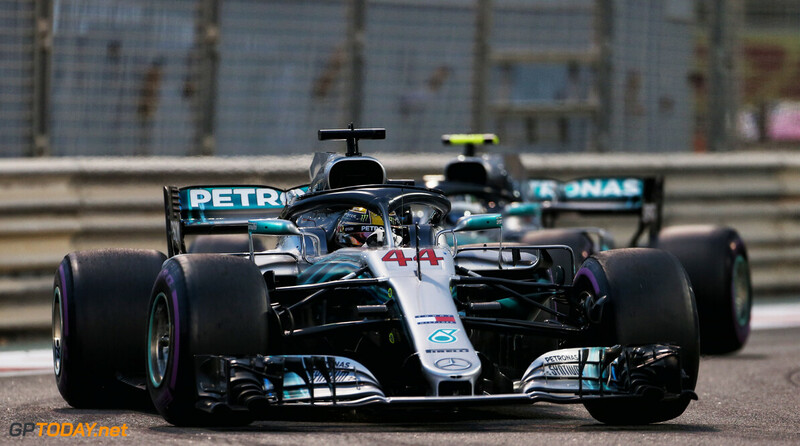 Both drivers pitted on lap 16 and 17, which benefitted Hamilton who wouldn't have to fend off his rivals towards the end of the race on much older tyres. Bottas locked up several times throughout the race, making a mistake to invite Vettel past. 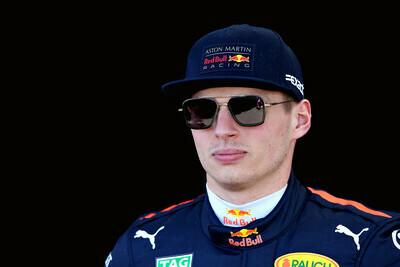 The Finn made contact with Max Verstappen as they battled for the final spot on the podium on lap 38. Daniel Ricciardo, in his final race for Red Bull, soon found his way past the Mercedes driver also. Ricciardo led the race for a number of laps, extending his stint on the ultra soft compound. However he couldn't pass his teammate towards the end of the race for the final spot on the podium and had to settle for fourth place. Carlos Sainz managed to come home in sixth place for Renault, ahead of the Sauber of Charles Leclerc. 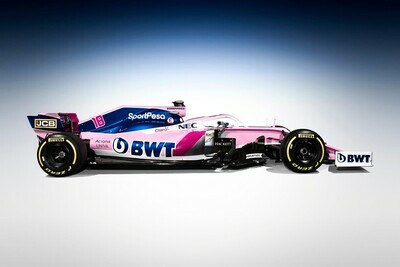 Sauber failed to beat Force India in the constructor's standings after Sergio Perez finished in eighth place 0.4 seconds behind the Monegasque driver. Haas ended the season on a high, with Romain Grosjean beating teammate Magnussen to ninth place. In his final race in Formula 1, Fernando Alonso crossed the line in eleventh place, just outside the points but received the Driver of the Day award. It was a pretty weird race, overall pretty boring and processional. The cars somehow looked very slow around here, even on those huge straights. And the raw amount of retirements, and the fact that almost all but one was due to engine wear, speak for itself concerning what a wonderful idea it was to only have 3 PU allocations. And clearly Hammy didnt seem to suffer on the powerside with the engine that was in the car. Charles again excelling, so nothing new there, and Gasly looking good up until the engine failed. Im however really glad Hulk got out shaken but not stirred. That crash looked horrible, one of quite a few this year now that I think of it. Yep, a few good tussles for the odd few corners but cannot understand why Bottas’s through drive on a corner wasn’t challenged and penalised by the stewards, even if it became largely academic a little while after. As for his 2nd stop, me thinks they pulled him to check the tyre wear for LH. For me the ‘drives of the season’ have been Perez and Magnesson, solid mid table and ‘best of the rest bar Hulkenberg against the better funded Renault, MCL, especially Perez with his team’s woes against the Haaserrari and the Sauberarris. Wooden spoon goes to McL I’m sad to say with their budget and pedigree to not have been going cage fighting with Renault all season and have been their tucked underneath RB. Ah well, what fun awaits us in 2019, little change in the top 6 I’ll warrant. Well, my titan team award this year has to go to Sauber, their resurgence has been very impressive, and that with a very low budget. The moldy sandwich goes to Williams, for becoming the new Sauber of the grid, merely surviving while milking pay drivers dry, and not even the glorious Merc' engine has been able to salvage them. My diamond driver award goes to Leclerc. I've found him impressive both on-track and off-track, and wish him all the best for next year. Hey guys, check out the twitter feed on the network, Will Smith tapes Hammy to a chair to pinch his drive in Abu Dhabi. Most fun we’ve seen out of Lewis for a good while. Which rookie has impressed the most so far in 2019? © 2019 GPToday.net. On the initiative of First Place Media B.V.